HEY! DO NOT Start the 30 Day Squat Challenge until you read My ULTIMATE Companion based on Fully Researched Information! 5 Basic Rules, 4 Cool Variations, and 2 AWESOME Tips Included! These Tips Helped Over 90,000 Readers of DIETBLY! 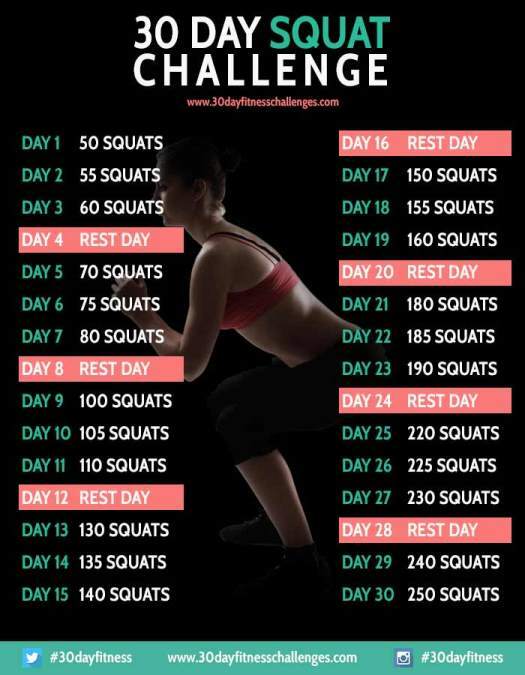 The 30 Day Squat Challenge has been getting a lot of attention online and in the media. Although its premise is simple, you’re going to see awesome results. This one-month workout plan is laid out in such a way that almost anyone can get started. What you’re going to do here is perform a certain number of squats daily. Have a rest every fourth day (trust me you’ll need it). Increase the number of squats you do each day gradually. There are variations to this that can take you further, but we’ll get to that later. By the time you get to the end, you’ll be able to do a maximum of two-hundred-and-fifty squats! The program isn’t too complicated, but you’re quickly going to understand why it’s considered to be a challenge in the first place. But don’t be scared, you’ll love it, and the results will be excellent and well worth it. There’s the right way to do squats that will give you all of the benefits we’ve already mentioned. And then there’s also the wrong way that can do more harm than good. Put each foot shoulder-width apart. Looking straight ahead, keeping the back straight, you’ll start lowering yourself down by bending the knees. Make this movement to look and feel like you’re sitting down in a chair. You should only lower your body to the point of your comfort zone. Your heels shouldn’t leave the floor. The knees will travel over your toes, or they will go slightly outside them. Make sure they don’t bow inwards. Your arms are meant to stay straight out in front of you, to maintain balance. Pay attention: With the basics behind you, try a few out. If you feel good about things afterward then it’s time to start working out your legs. These charts keep you on track with how many squats you need to do each day and when you should be resting. They even include various tips and steps for maintaining the proper technique. Choose one, print it off, tape it to wherever you’re working out, and use it to stay focused! Pay attention: There are also two excellent mobile apps that may come handy while doing this challenge. They are called “30 Day Squat Challenge” and “Squats“. Both apps are free and available in the Google Play store. Now, you’ve got the basics of this challenge, and you’ve got the apps and a calendar you like. Even so, you might still be a little skeptical about whether or not this program does deliver on all its promises. Perfect for Women & Beginners? The great thing about this program is the fact that it can do wonders for a broad range of people. Ladies can indeed put this plan into action. Those who stick with it to the very end are sure to see their positive outcome. Newbies can certainly take advantage of this plan, too! However, if you’re new to the exercise, in general, you may want to spend some time to build up your abilities first. Fifty squats may not sound like a lot, but it is. Don’t let that thought suggest you can’t handle it. You can. 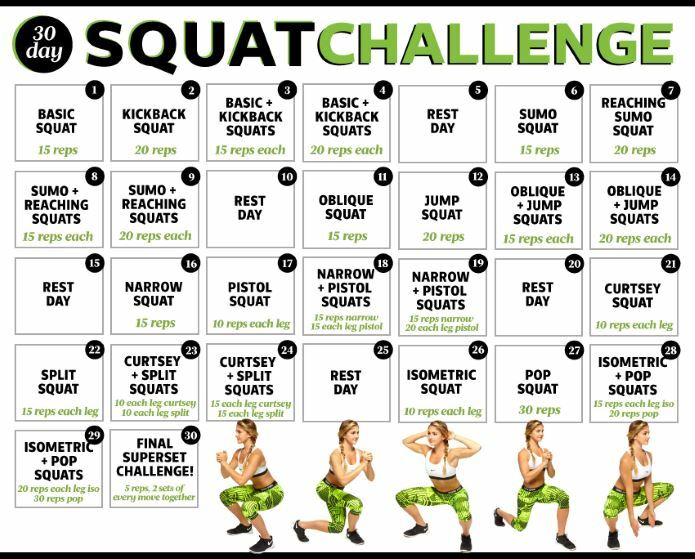 All we’re saying is that you should get used to doing squats before you take on this challenge. But does it work? It certainly does. 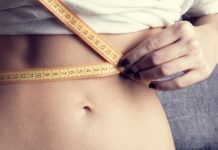 The benefits are countless: These include improving your abdominal and back areas, obliterating the calories and increasing your overall flexibility! The big advantage of this program is that you can do the challenge at home. Stretch & warm up – Focus on warming up and stretching out phases. Not only does failing to do so prevents you from enjoying results to its fullest, but it can also leave you open to pulling a muscle or even worse. Make sets – Divide the higher numbers into sets. As this plan gets tougher, remind yourself that you don’t have to push your body to do everything in a single row. Break it down into sets. You’re not cheating yourself by doing so. Have a pause – Do not skip rest days as these are important and recommended for a reason in this program. They’re meant to give your muscles time to regeneration, regroup and get used to the strain you’re putting them through. Skipping them is only going to leave you open to injuries! Maintain correct posture – Always make sure your knees are pointing forward. Proper squat positioning is of utmost importance! It is risky – You are taking it on at your risk. The potential danger is minimal, but it does exist. Failing to warm up or do this exercise properly can cause injuries. This plan is in a general sense feasible for most. You will see improvements day by day. Be patient and disciplined! Keep in mind: When it comes to the squat challenge, there’s nothing wrong with asking for a little help. Don’t be afraid to incorporate some extra things into your routine. Let me congratulate you in case you’ve completed this plan. I know it was tough, but you have shown that you are hankering for greater horizons, and that’s amazing. 50 Day Challenge – You can do thirty days, but can you handle fifty? 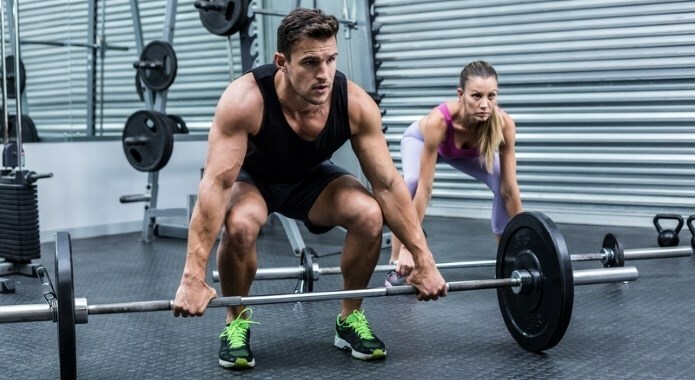 100 Squats – How do you feel about hundred each day? 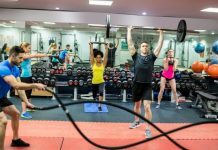 200 Squats – Or would you be up to the extreme of two hundred? Pay attention: If you want something more advanced, you should check out youtube video called “Squat challenge combo with @KeairaLaShae“. Although it is not for beginners, it is an excellent four-minute workout that delivers insane results. 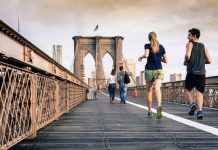 Remember that you should have fun and if you’re unsure whether or not this exercise plan is for you just consult a physician before starting this challenge. Overall, safety cannot be stressed enough with the 30 Day Squat Challenge so do not forget to warm up and listen to your body.